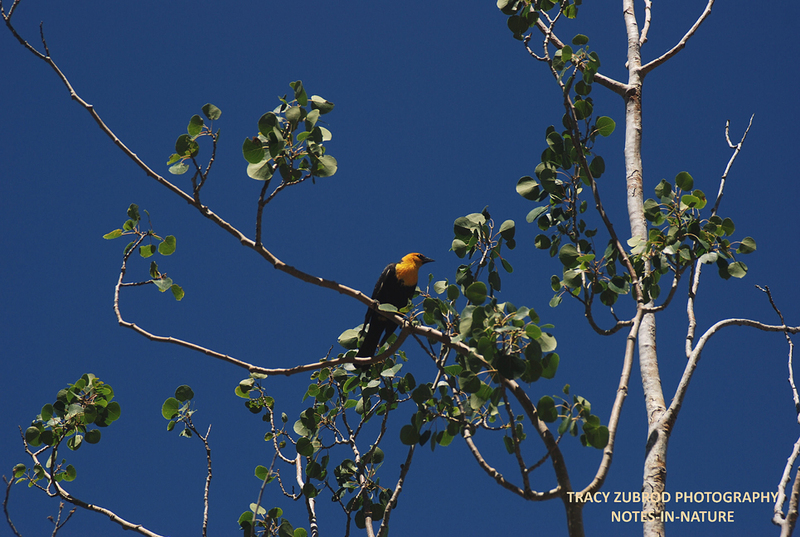 Yellow-headed blackbirds are found in the western and prairie fresh water wetlands, shallow marshes, or mountain meadows. Males have a yellow head and chest with a black body. They have white patches on their wings. Female and immature YHBB’s are dark brown overall with duller yellow heads. Females do not have white patches on their wings, while the immature’s do. Yellow-headed blackbirds eat insects such as beetles, grasshoppers and worms. They will also eat seeds and grains. They make their nests in reeds directly above water. They will form large flocks in winter and are seen with other blackbird species, such as red-winged blackbirds. Fossils from 100.000 years ago have been found in California, New Mexico, and Utah of this bird. 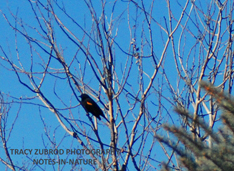 Red-winged blackbirds live in fresh water areas or open spaces like fields and prairies. The males are glossy black with scarlet and yellow shoulder patches. The female are streaky brown with a paler breast and white eyebrows. They eat insects, grains, and seeds. Their nests are found on plants with upright stems close to the ground or near the water surface in a marsh. They roost in flocks and the males have many female mates. Red-winged blackbirds are known to be very athletic flyers. 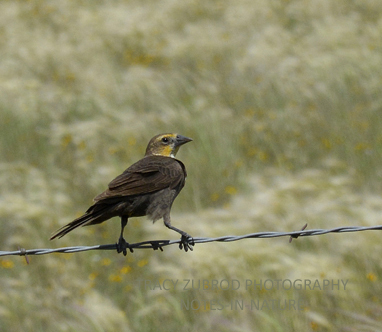 The yellow-headed blackbird is larger than the red-winged blackbird and are usually dominant in flocks. 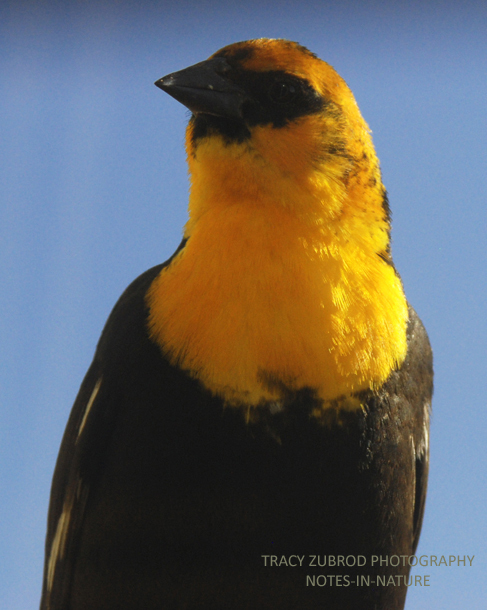 The yellow-headed blackbird populations are stable, although there can be fluctuations because of rainfall or droughts. The red-winged blackbirds have large populations, but they have declined by 30% since the 1960’s. The biggest culprit for the decline of most birds is the rise in agriculture.